1. 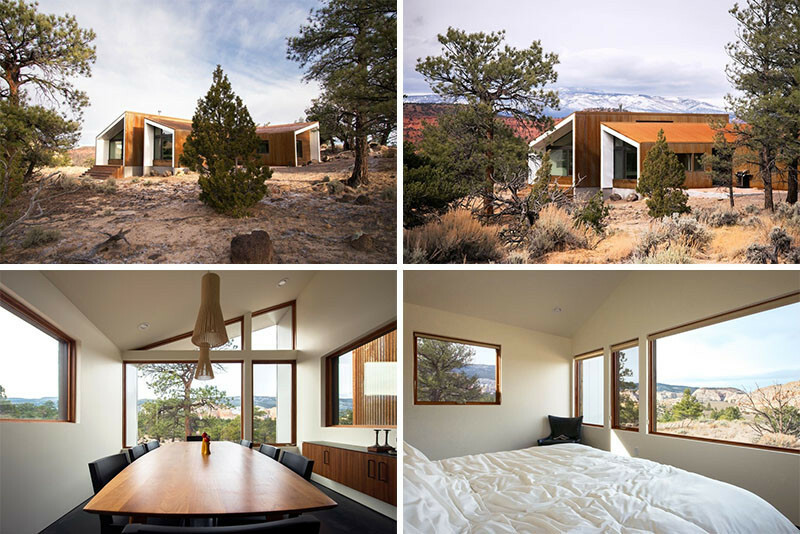 This home with a guesthouse and studio in Capitol Reef, Utah. Design and photography by Imbue Design. 2. 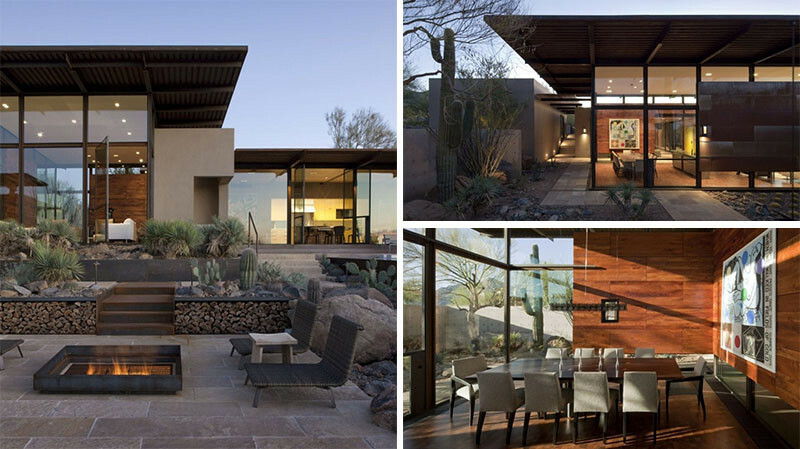 This home enjoys desert views from almost every room, located in Scottsdale, Arizona. 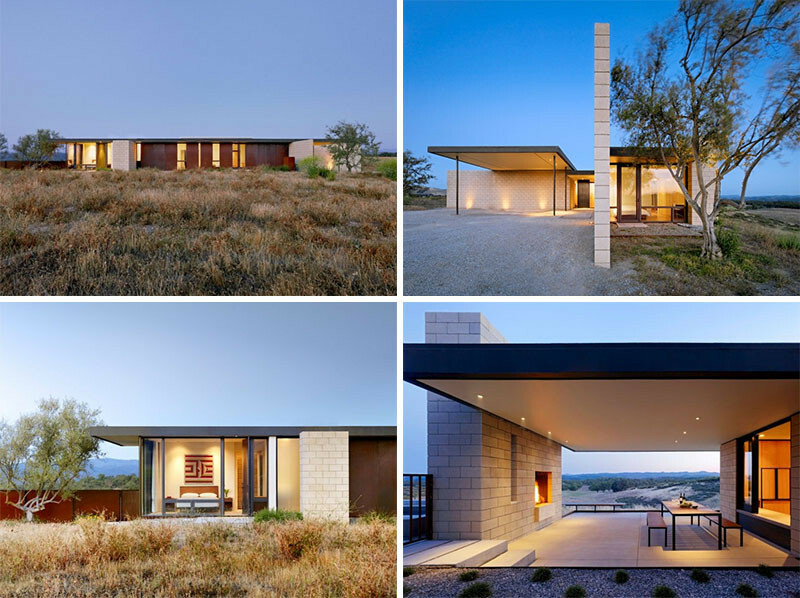 Designed by Lake|Flato Architects, Photography by Bill Timmerman. 3. 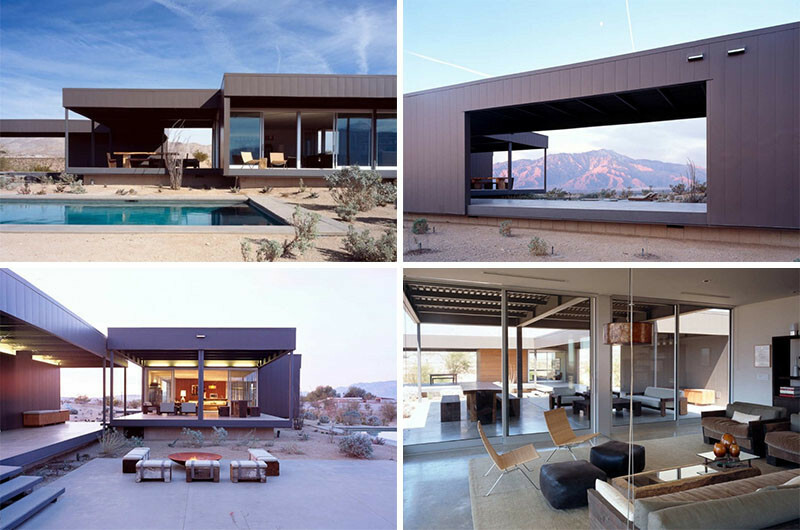 This prefab home in the Mojave Desert of California. Designed by o2 Architecture for developer Blue Sky Homes. Photography by NuVue Interactive. 4. This home surrounded by cactus in Scottsdale, Arizona. 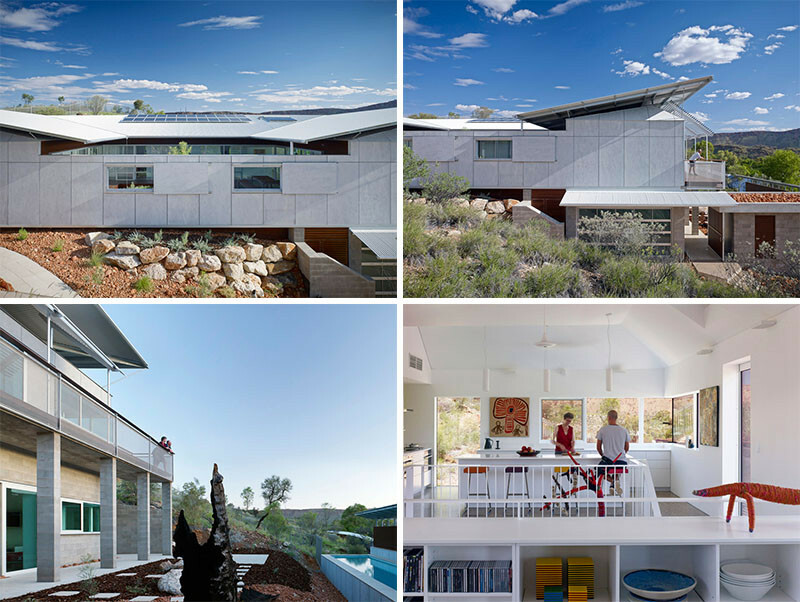 Designed by Wendell Burnette Architects. Photography by Bill Timmerman. 5. This black house in the Yucca Valley of California. 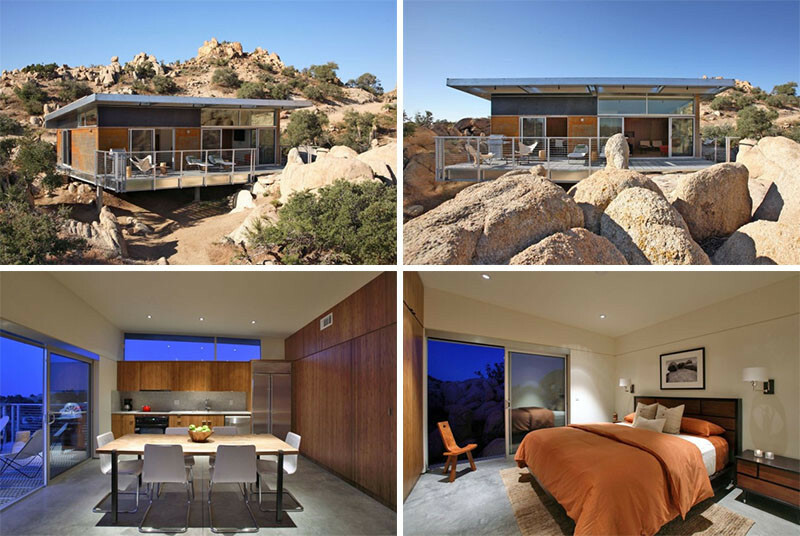 Designed by Oller & Pejic Architecture. Photography by Marc Angeles. 6. This house with angled roof lines in Scottsdale, Arizona. Designed by Kendle Design Collaborative. 7. This home in the rural desert town of Cave Creek, Arizona. Designed by Michael P. Johnson Design Studio. Photography by Bill Timmerman. 8. This house in Desert Hot Springs, California. 9. 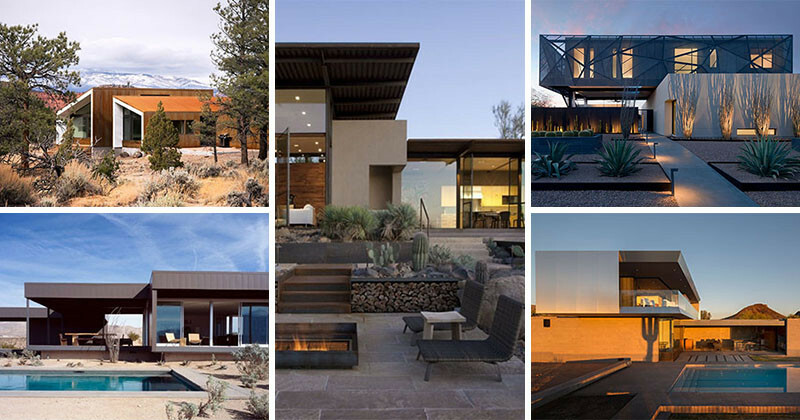 This home for a family, located in the desert near Phoenix, Arizona. Designed by Kendle Design Collaborative. Screenshots by Chibi Moku. 10. This house in the Mojave Desert near Joshua Tree, California. 11. This home in California’s Central Coast wine region. Designed by Aidlin Darling Design. 12. 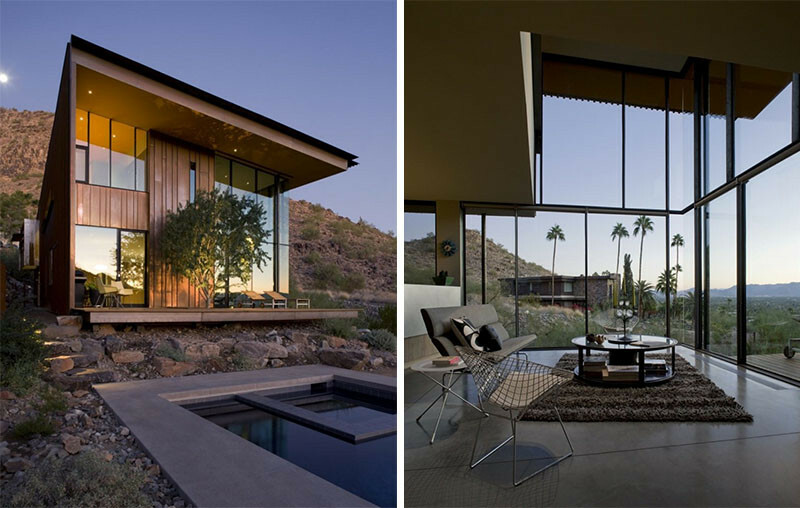 This home in Paradise Valley, Arizona, with a view of the McDowell Mountains in the distance. Designed by Will Bruder + Partners. Photography by Bill Timmerman. 13. This home in the desert near Las Vegas, Nevada. Designed by assemblageSTUDIO. Photos by Bill Timmerman and Zack Hussain. 14. This house in the Australian desert near Alice Springs. 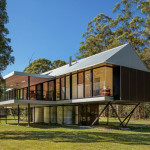 Designed by Dunn & Hillam Architects. 15. 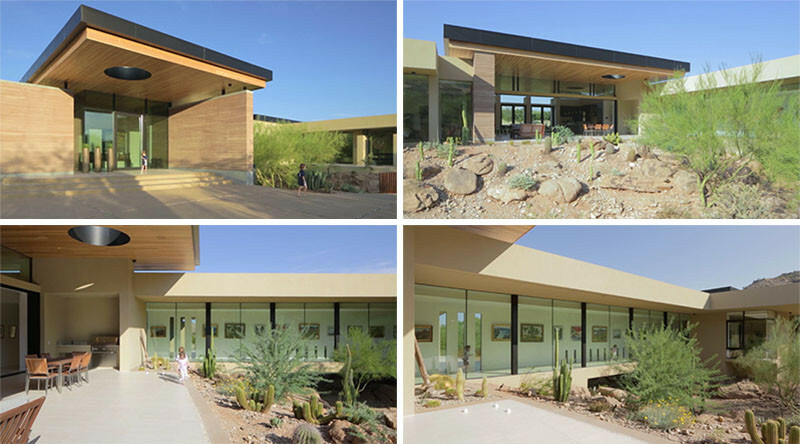 This home in Scottsdale, Arizona, that reflects the desert in the windows. Designed by Chen + Suchart Studio. Photography by Winquist Photography.